Industry 4.0 is changing a lot of industries like logistics and manufacturing where the need may look obvious. The pharmaceutical industry has a huge potential to adopt Industry 4.0. But what is Industry 4.0, how does it pair with the pharmaceutical industry, what is Pharma 4.0 and where does Ephlux step in? Let’s find out! With industry 4.0, organizations have combined the physical and digital assets used in manufacturing by employing technologies like IoT and Machine Learning. This has resulted in better predictability and interoperability of machines with each other and with the core enterprise business processes without having to give large manual inputs. Imagine manufacturing on steroids. Pharma industry makes a very strong case for Industry 4.0 adoption by moving from mere automated process control with reactive reporting to a true predictive analytics capability across their supply chain from production planning to packaging and logistics and beyond. When there are so many obvious benefits of industry 4.0, what is it that Pharma 4.0 gives back to the industry then? With Pharma 4.0, the pharmaceutical industry goes beyond automation and using Internet of Things and Machine Learning predictive analytics capabilities improve productivity, ensure regulatory compliance and drug safety, minimize unplanned downtime and predict complex business KPIs. These are the areas that can benefit the most with higher predictability, interconnectivity, and automation within the pharmaceutical industry. The Digitial Intelligence division in Ephlux that works on Machine Learning algorithms and models, research-based data science projects (particularly in health care, and IoT based solutions for industries, has come up with a Pharma 4.0 service portfolio for the pharmaceutical industry as well. In a recent event organized for the audience of the pharmaceutical industry, Ephlux in liaison with Oracle presented it’s Pharma 4.0 solution. The solution covered some key automated components as well as primary benefits in Pharma 4.0 that we will now talk about. 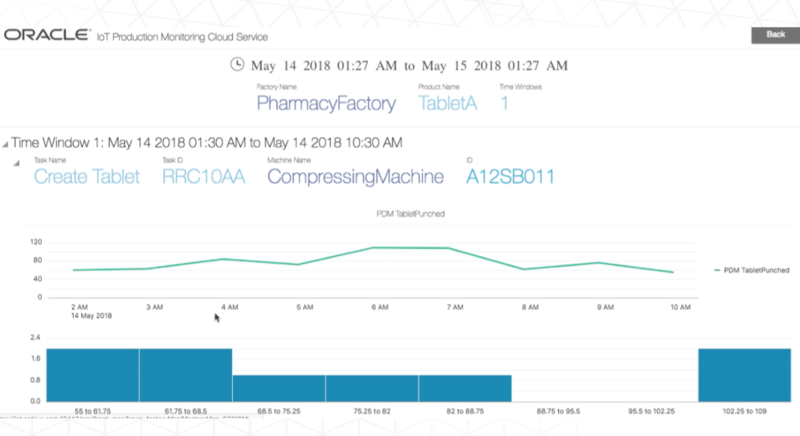 With Pharma 4.0, the pharmaceutical company can rely on not only real-time updates and inventory adjustments (which is key in ensuring the correct dosage of the medicines to be prepared at the right time), but also real-time production monitoring with predictive ability to identify faults and failures before they occur. In the context of the pharmaceutical industry, that can translate to saving ingredients and prepared medicines without resorting to throwing out entire batches when a production line fault occurs. With the shop floor in sync with the ERP, the company can keep track of any upcoming equipment service requests as well as inventory requirements predicted well in advance. 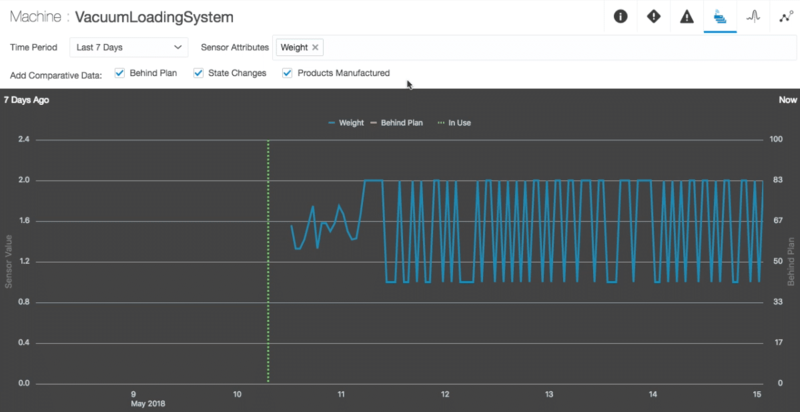 The solution demo also showed a deep-dive into the real-time sensor values on which the predictions are based in order to provide complete data transparency. Pharma 4.0 can be a crucial addition to the pharmaceutical industry as it can help in paving way for a more efficient and effective production line for the industry, it can help reduce potential hidden costs of service, maintenance and additional need for manpower, which is a result of reactive maintenance, and it can contribute actively towards managing regulatory compliances that govern the pharmaceutical industry. 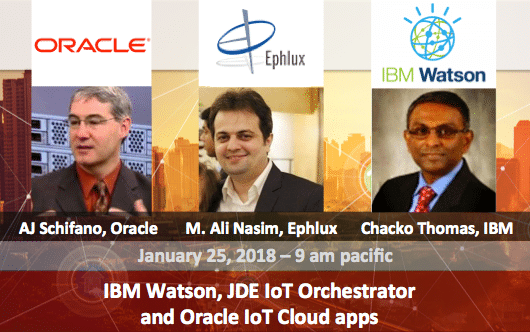 Ephlux has built its Phmara 4.0 solution working closely with Oracle that covers regulatory compliance and traceability through tracking and tracing across the supply chain which is a key regulatory concern for the pharma industry. The Digital Birth Certificate of the product provides an end-to-end traceability across the product lifecycle. Here’s a quick snapshot of how the solution produces the digital birth certificate. Are You Interested In Exploring More?